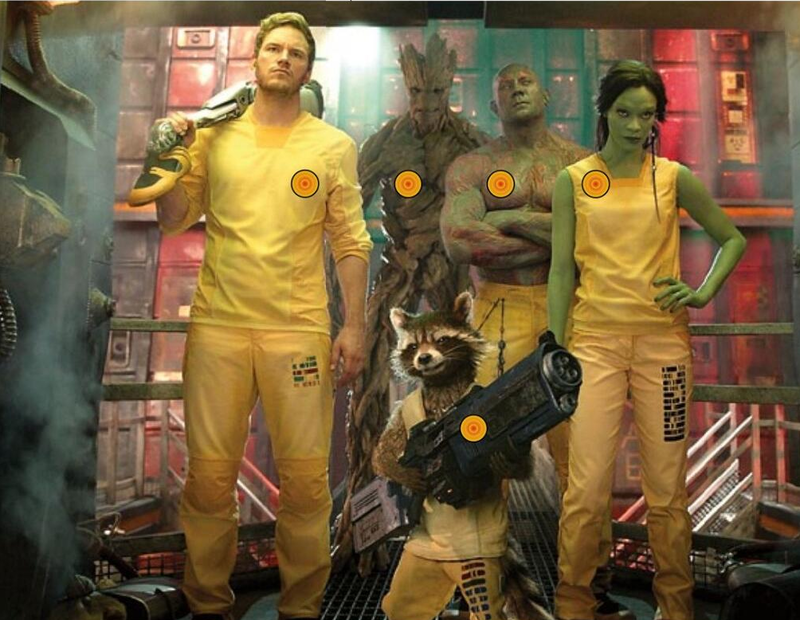 Three new stills from James Gunn’s Guardians of the Galaxy have been released, and one of them features a fantastic new shot of the team assembled in their prison jumpsuits! 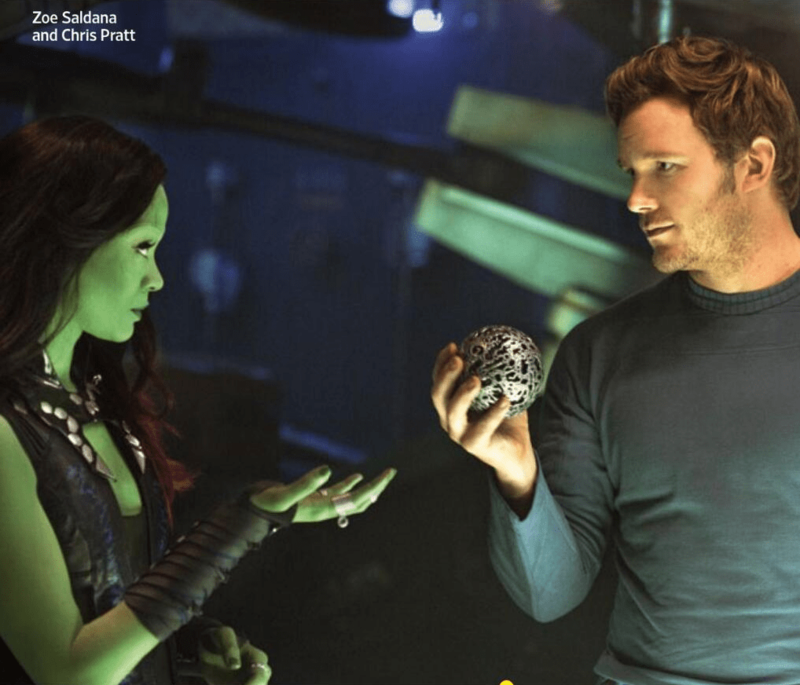 The other two (which have also been scanned from the latest issue of Entertainment Weekly) offer up a look at Chris Pratt and Zoe Saldana with the mysterious device they’re attempting to acquire before Thanos does, along with a very cool behind the scenes shot of Star-Lord heading into action. In an interview with the magazine, director James Gunn confirmed that the villainous Thanos will be a motion-capture creation, and the “head of the snake” in the Marvel Studios space opera. Most interesting however is the fact that Gunn went on to reveal that Guardians of the Galaxy is “definitely connected to Avengers 3”, pretty much confirming speculation that that movie will be the culmination of everything that’s happened since Loki first made a deal with Thanos’ shadowy accomplice to borrow his Chitauri army in Avengers Assemble. The follow-up to Avengers: Age of Ultron will presumable see him continue in his quest to obtain each of the Infinity Stones, and we could be in store for an epic Avengers/Guardians of the Galaxy crossover! 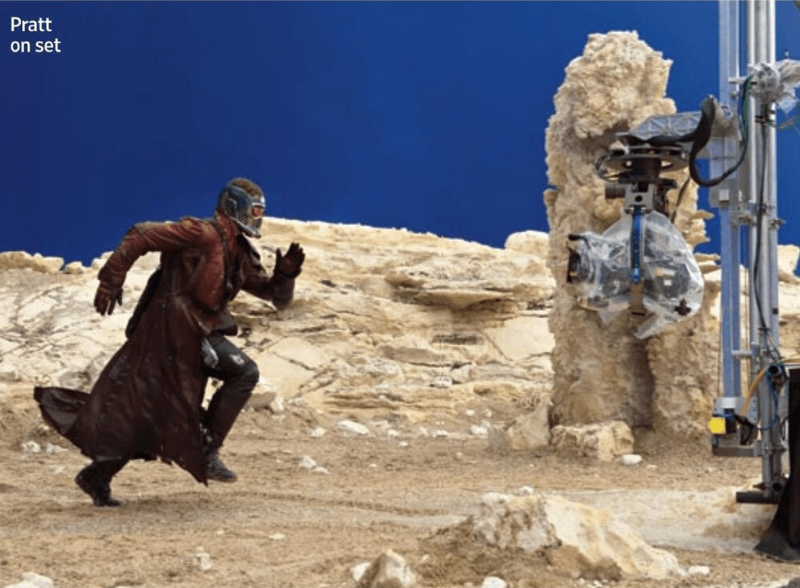 Starring Chris Pratt, Zoe Saldana, Dave Bautista, Bradley Cooper, Vin Diesel, Lee Pace, Michael Rooker, Karen Gilian, Djimon Hounsou, John C. Reilly, Glenn Close and Benicio del Toro, Guardians of the Galaxy is set to be released on August 1st.